Longtime readers might notice that we've recently redesigned these badges, making them smaller, more colorful, and more consistent. Today we added a new one, for Autodesk Forge. 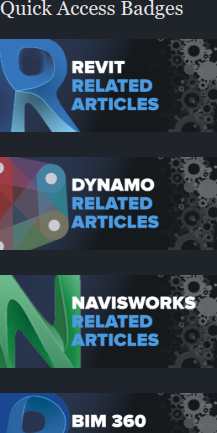 There aren't many Forge-related articles on the site yet but, since Design Automation for Revit entered public beta, we literally have dozens of related articles in the queue.